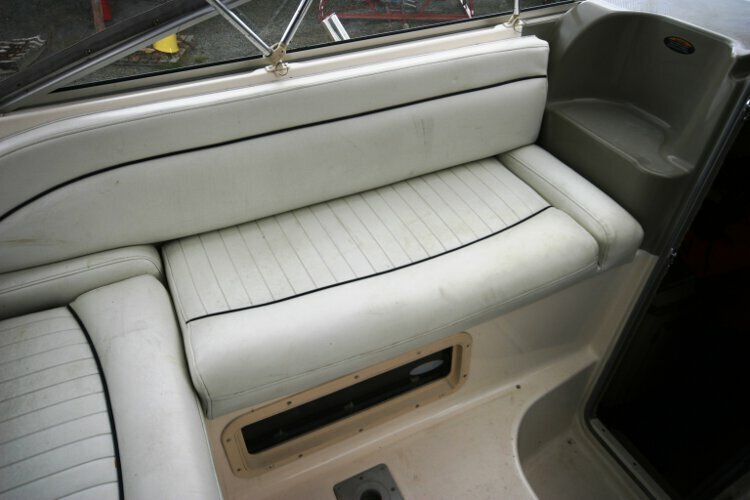 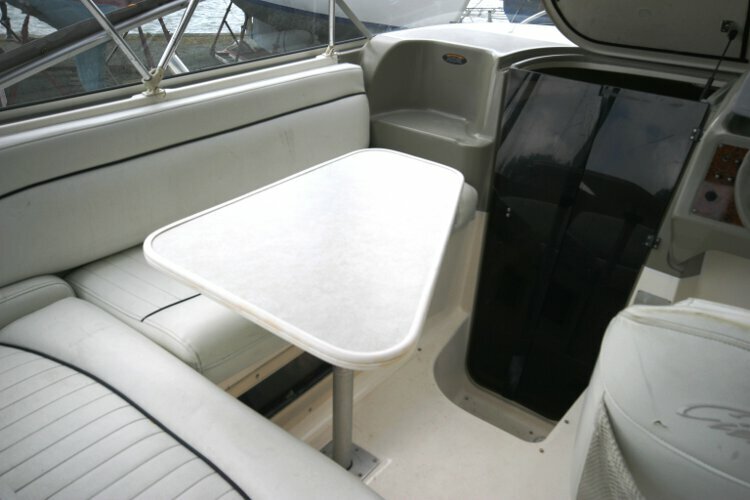 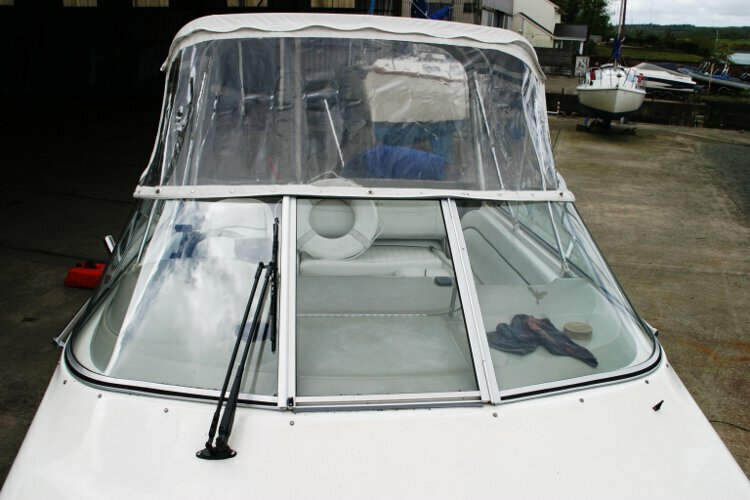 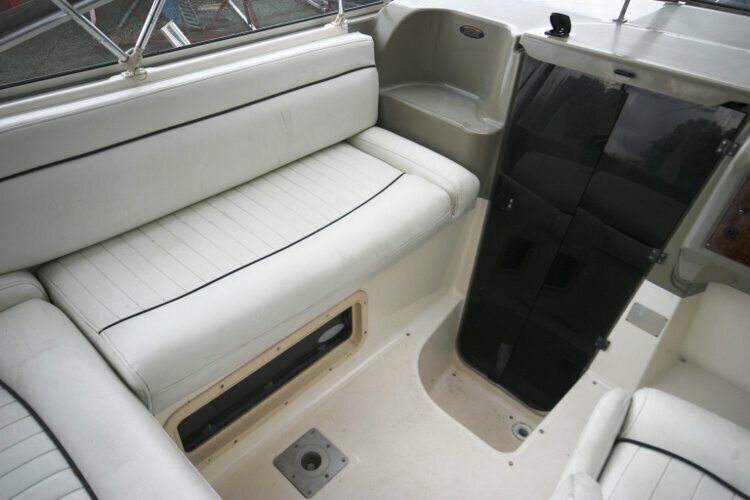 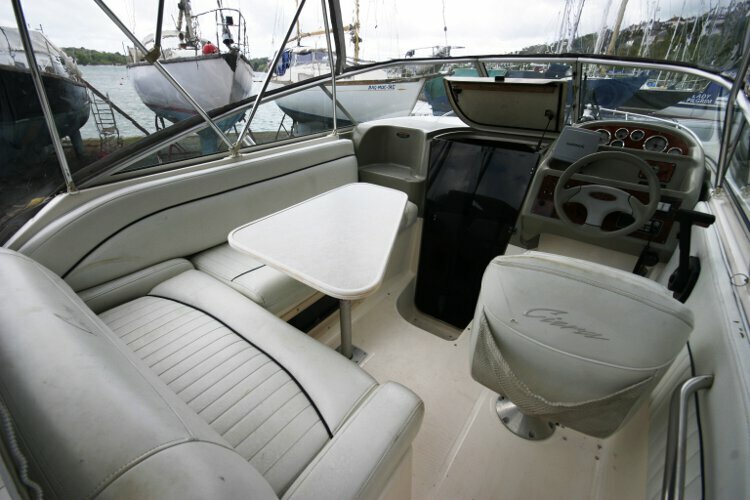 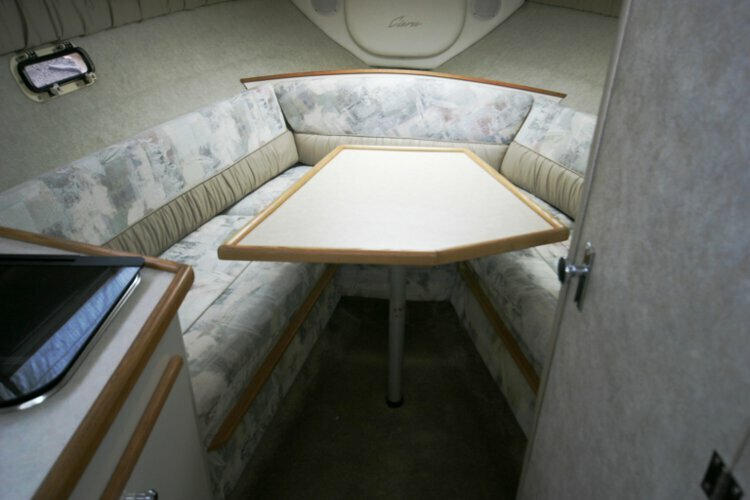 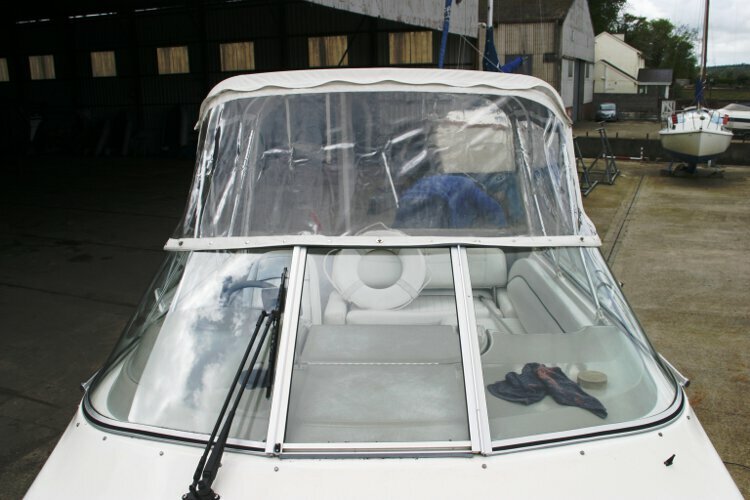 The Bayliner Ciera is American built and comes in immaculate condition at a very competitive price. She is extremely well equipped and offers comfort and luxury combined with speed and elegance. 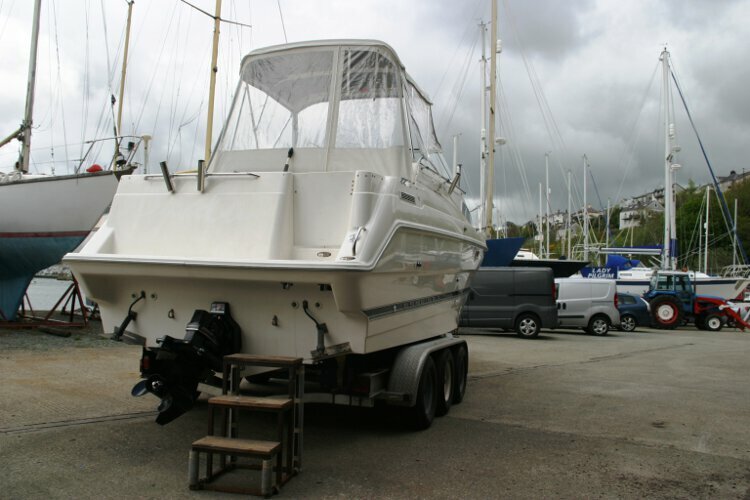 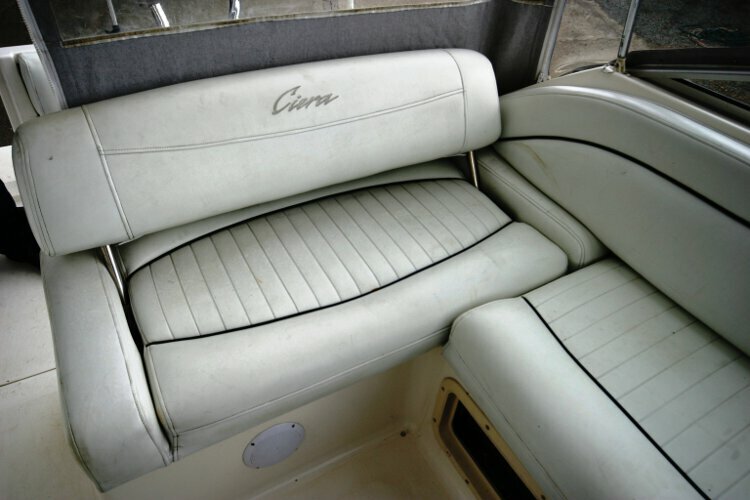 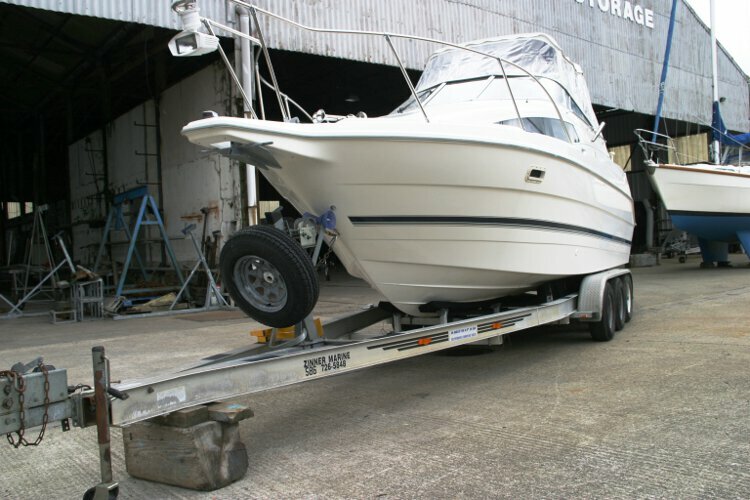 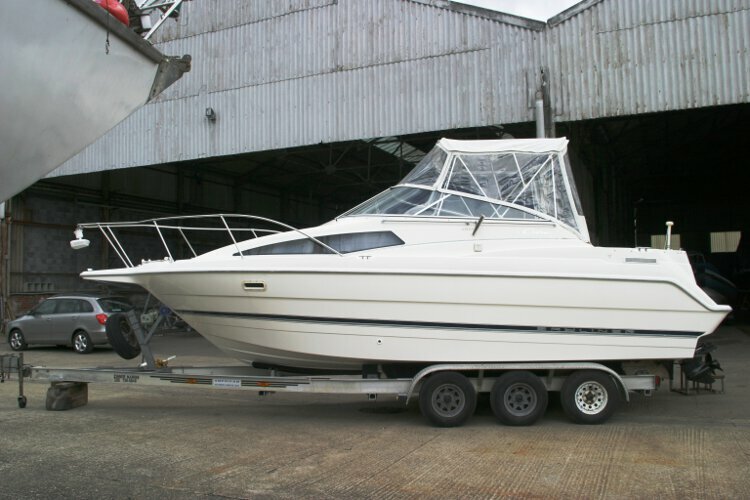 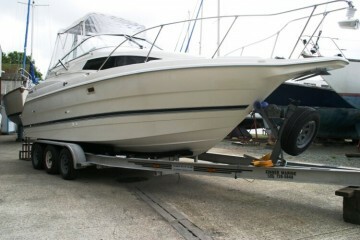 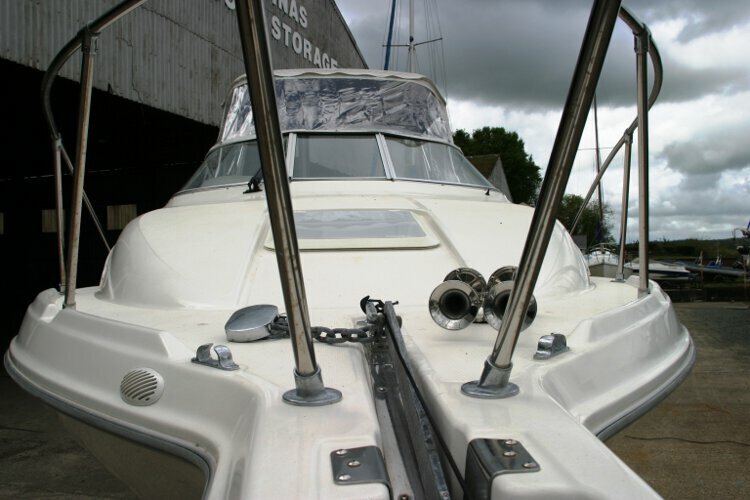 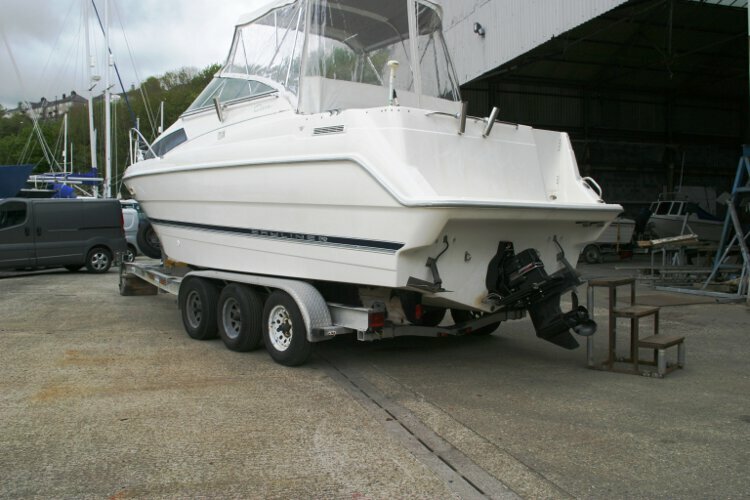 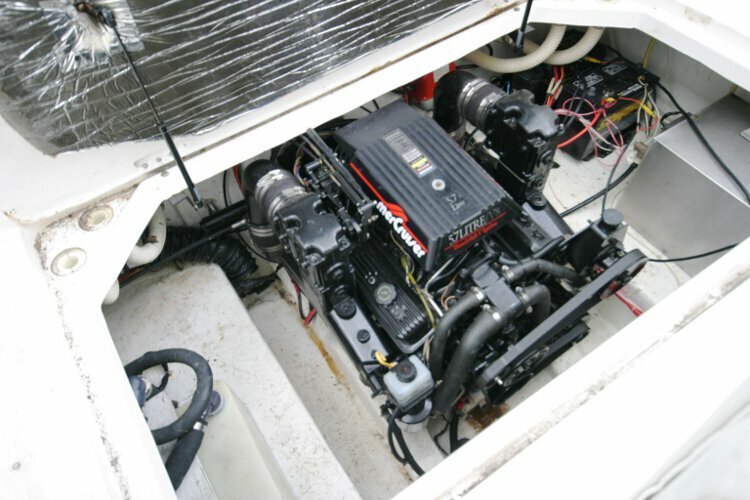 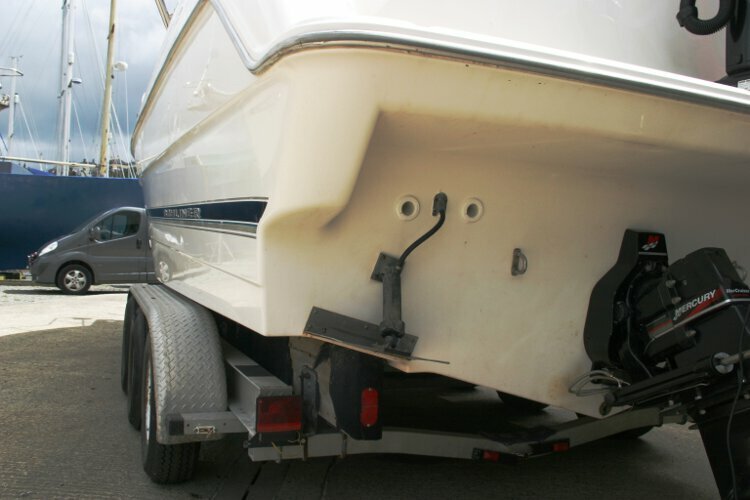 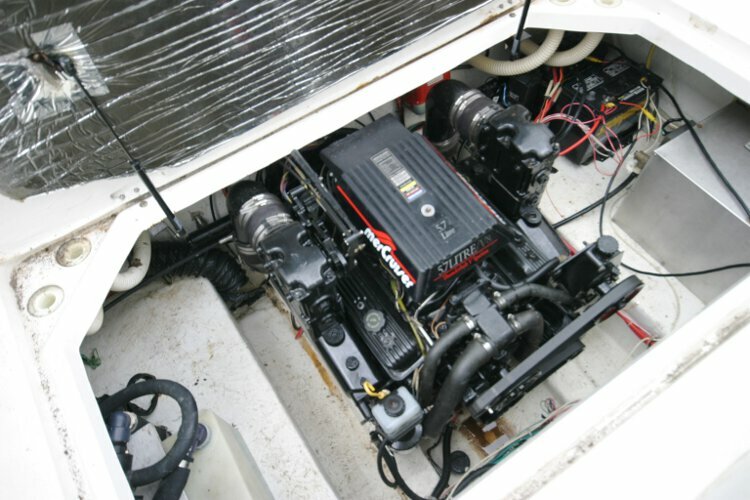 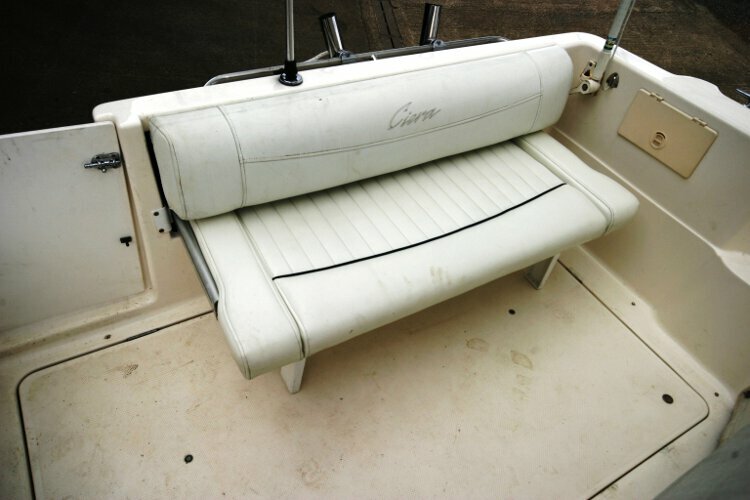 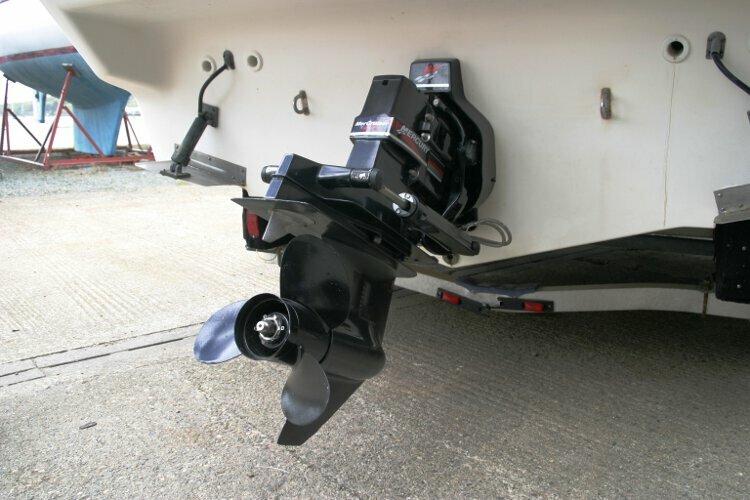 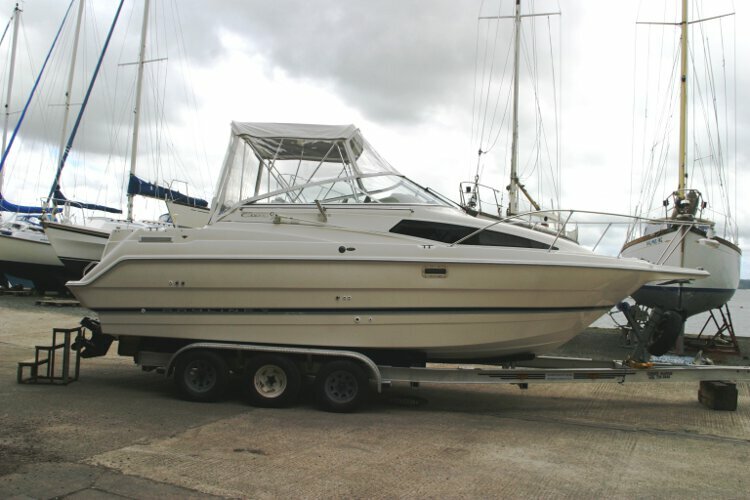 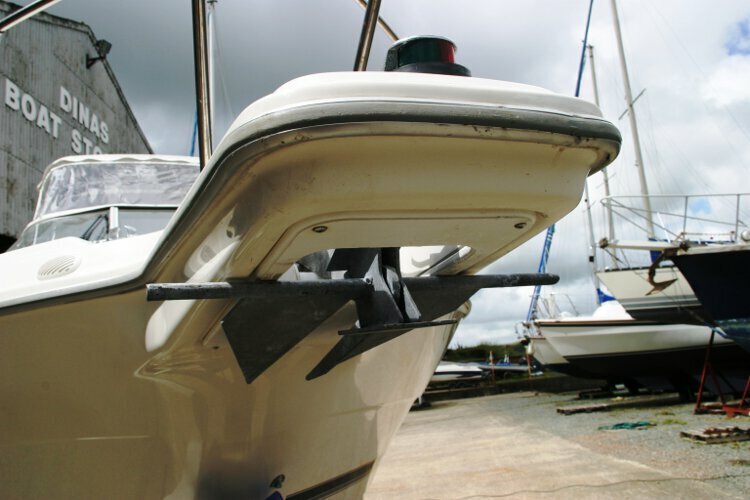 Powered by a Mercruiser 5.7 litre V 8 engine and offered with a six wheel launching trailer. 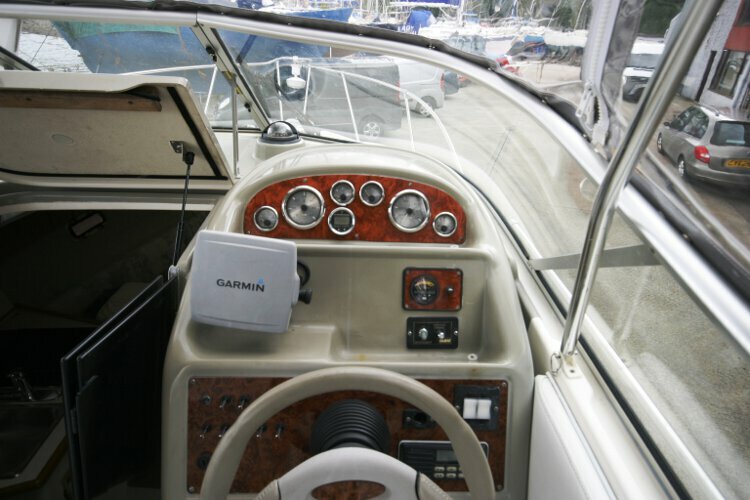 She can cruise at 30 knots. 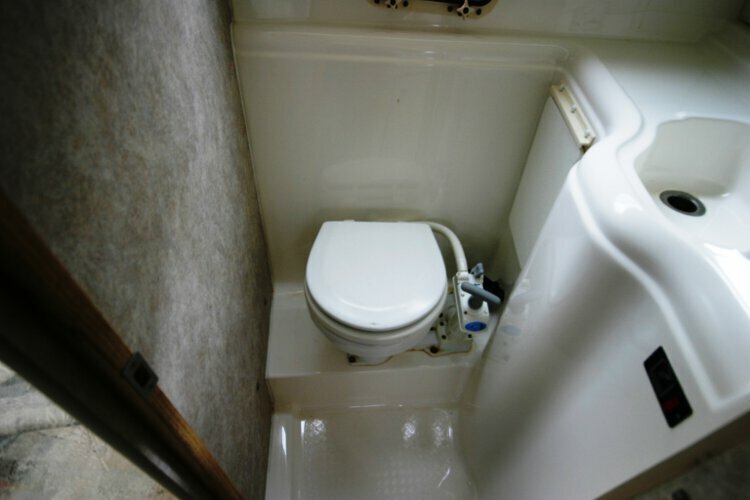 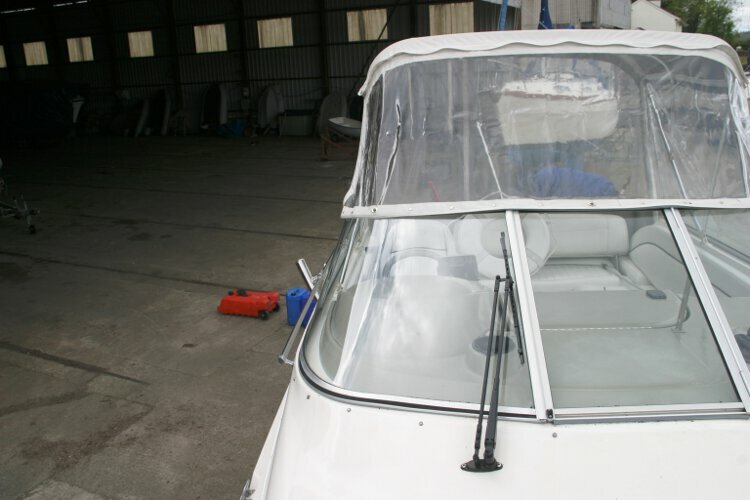 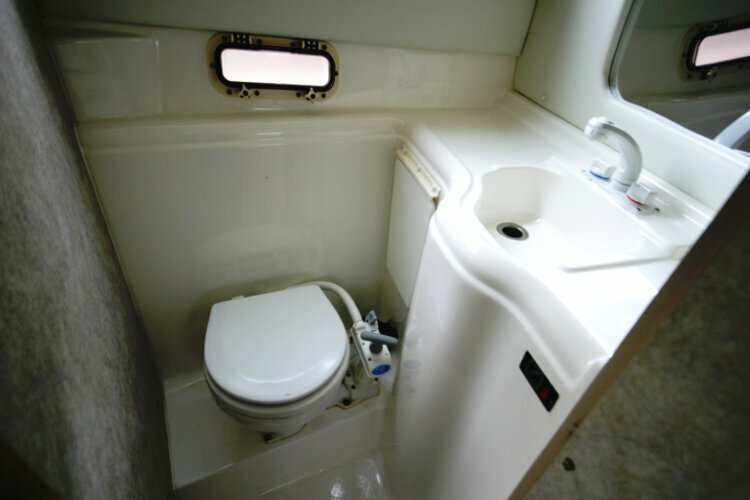 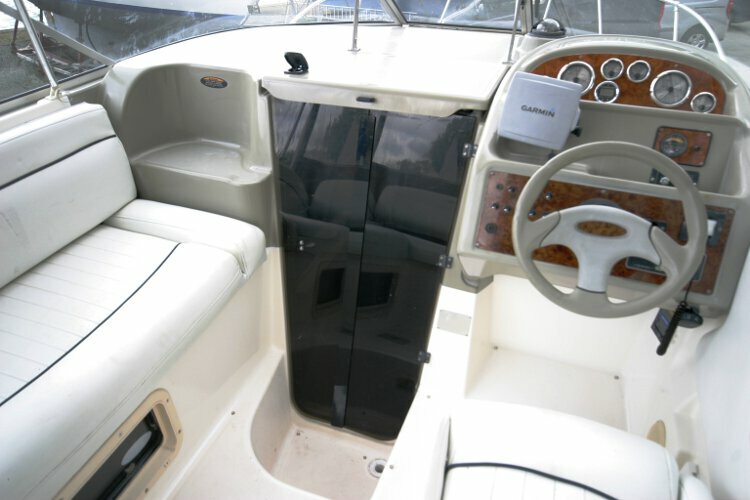 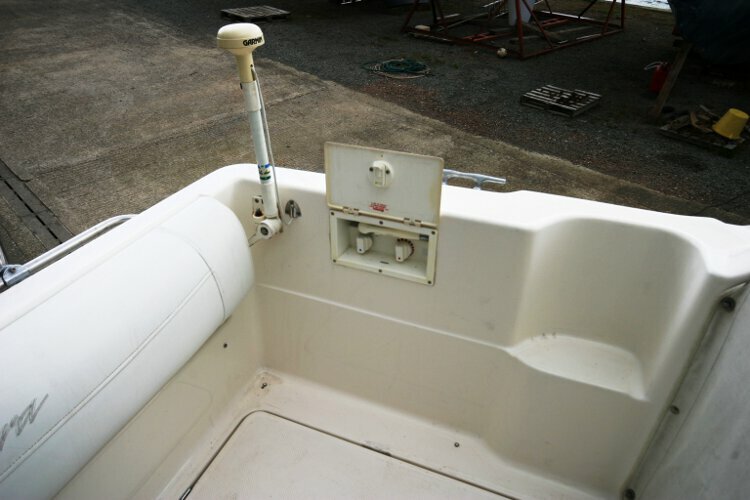 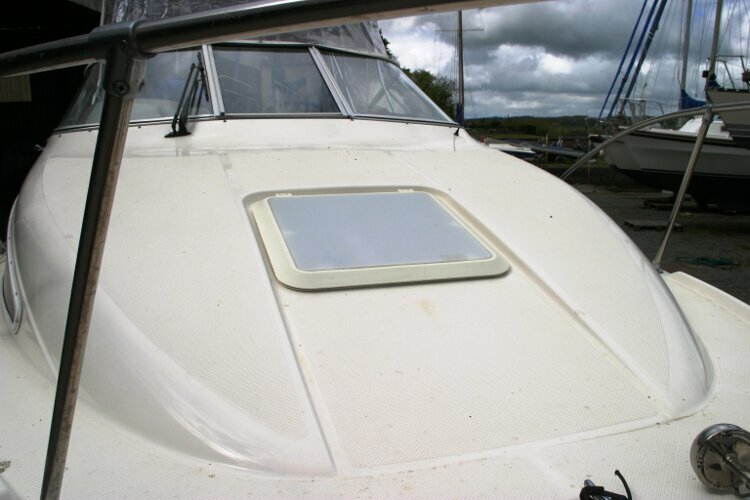 There is a holding tank and a separate heads compartment equipped with a sea toilet. 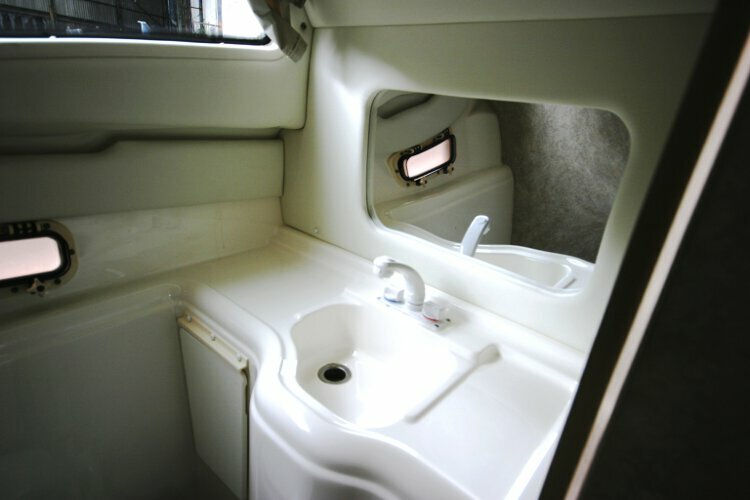 There is a total of four berths in two cabins. 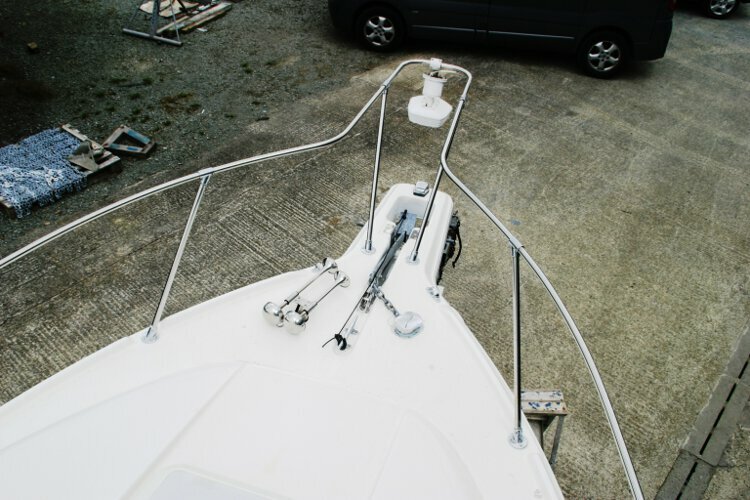 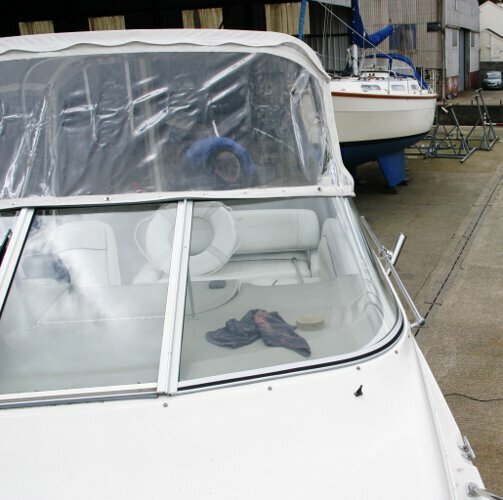 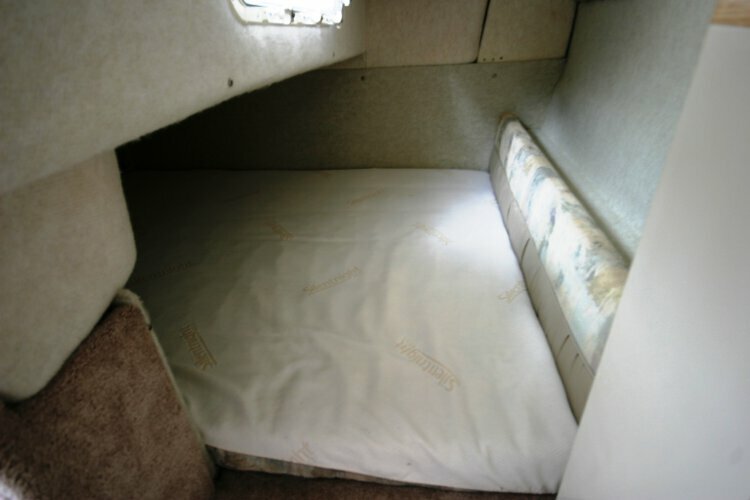 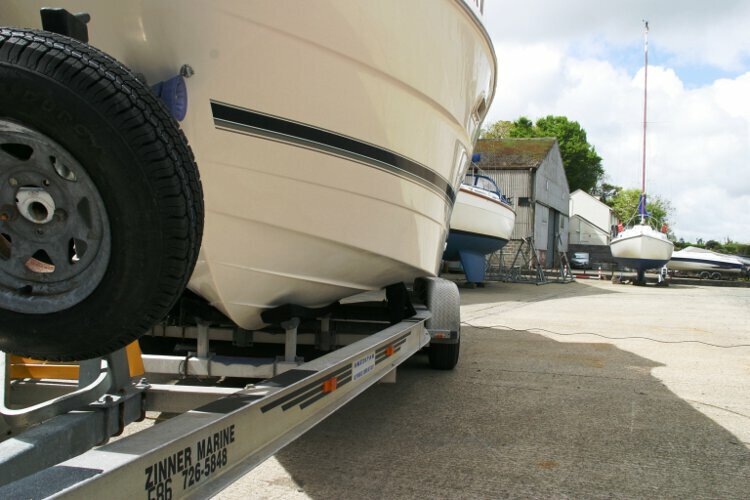 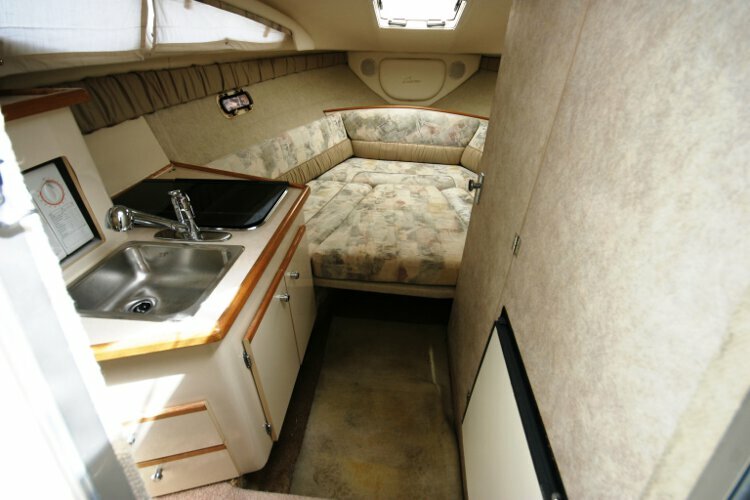 The saloon berths convert with an infill into a large double berth. 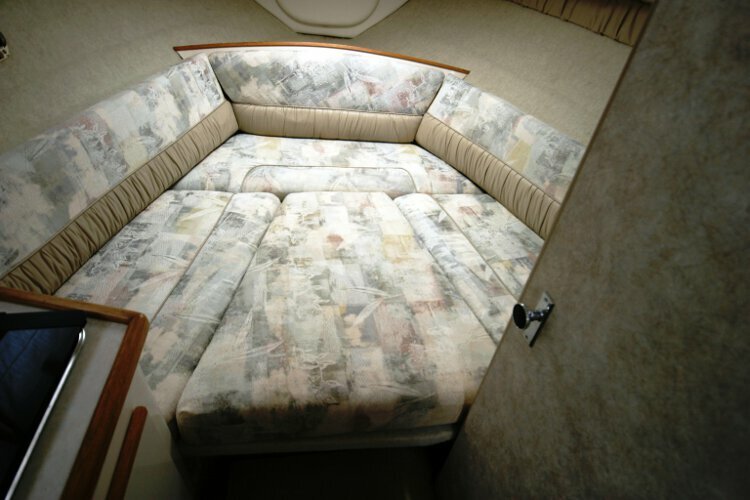 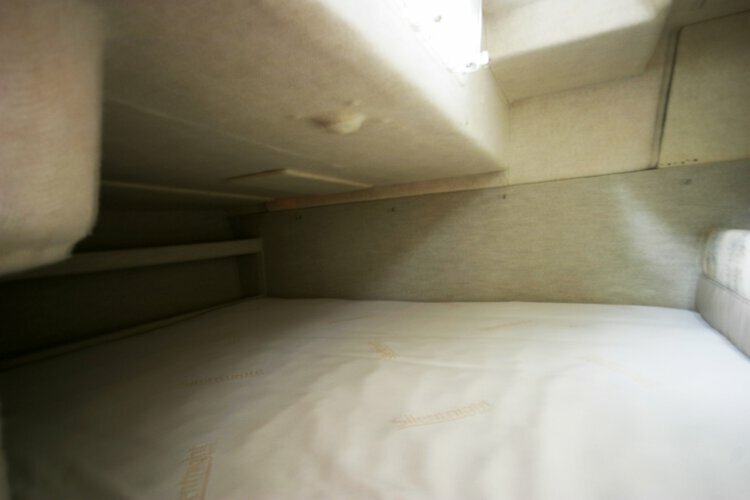 There is another large double berth in the aft cabin. 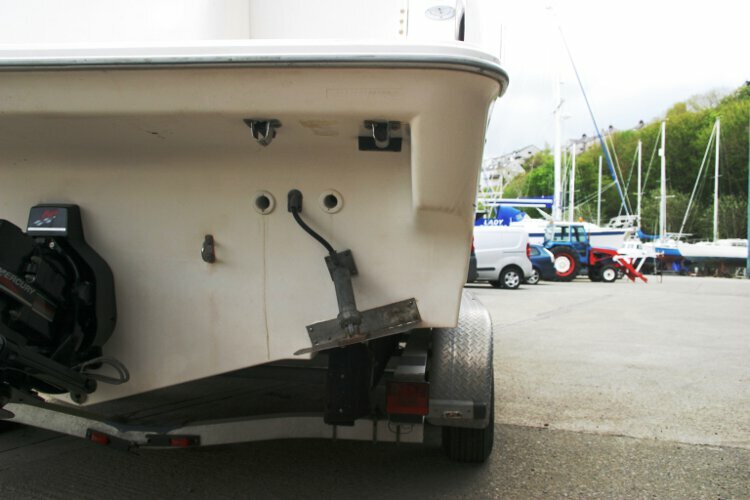 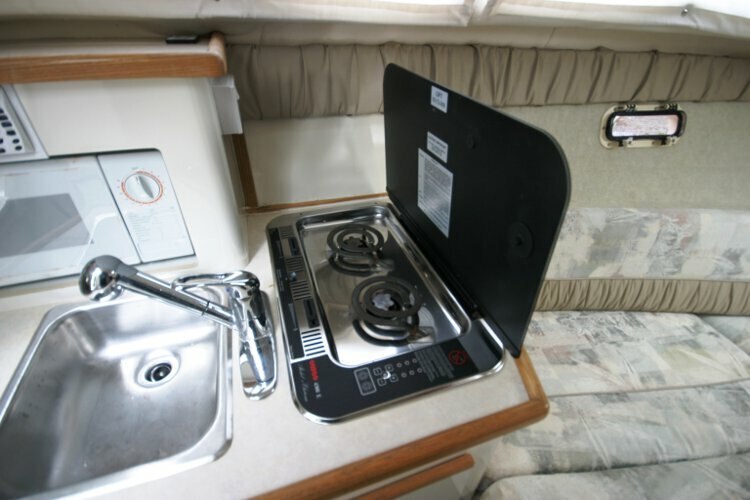 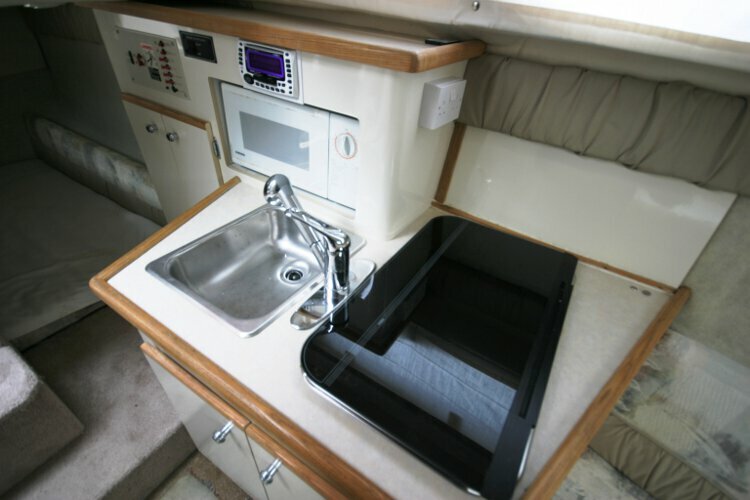 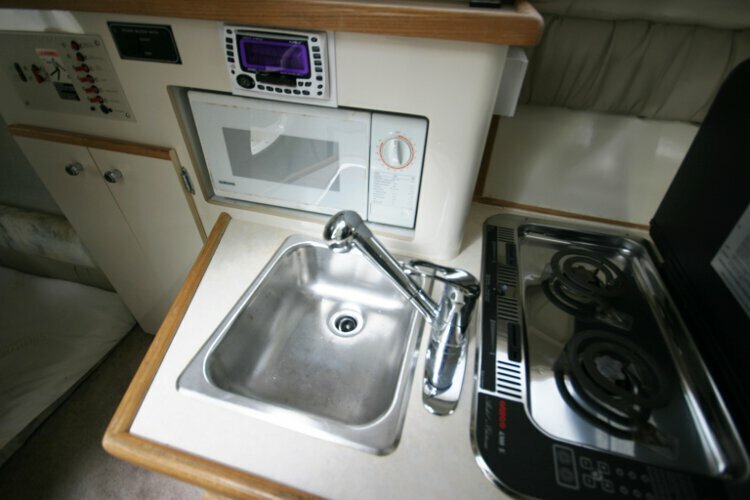 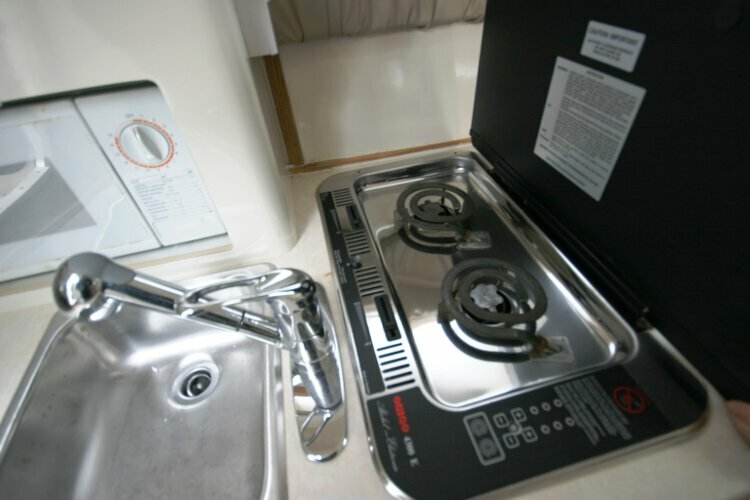 A fulley equipped galley with fridge, microwave, hob and sink, with ample storage. 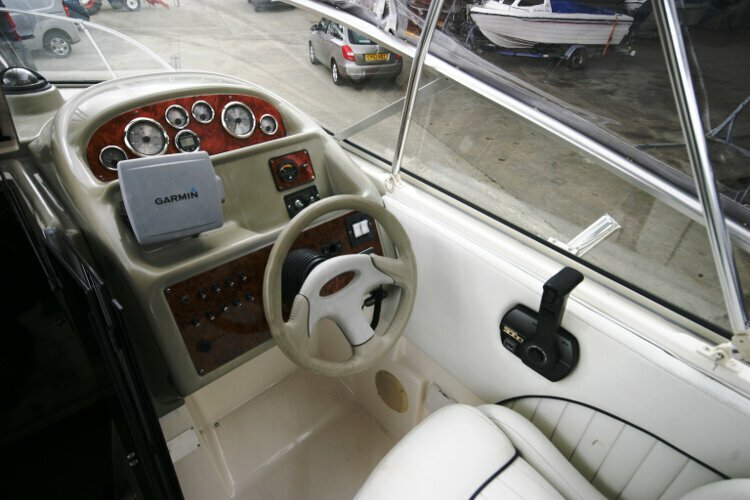 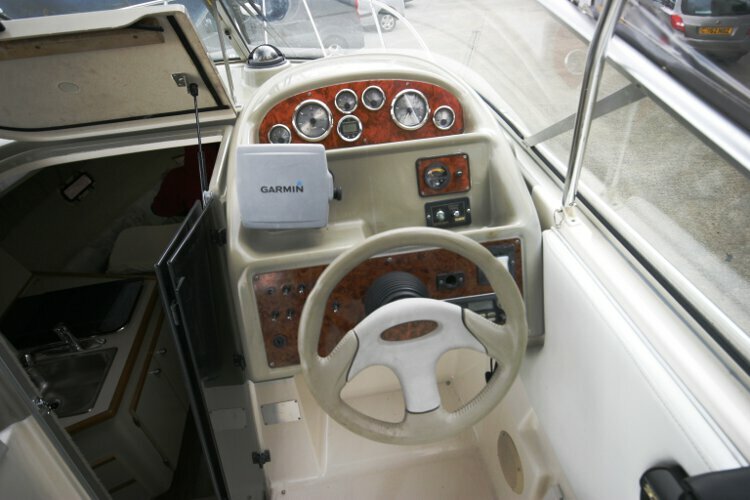 A full set of engine instruments including tachometer, speedometer, oil and and water temp, plus a Garmin Chart plotter. 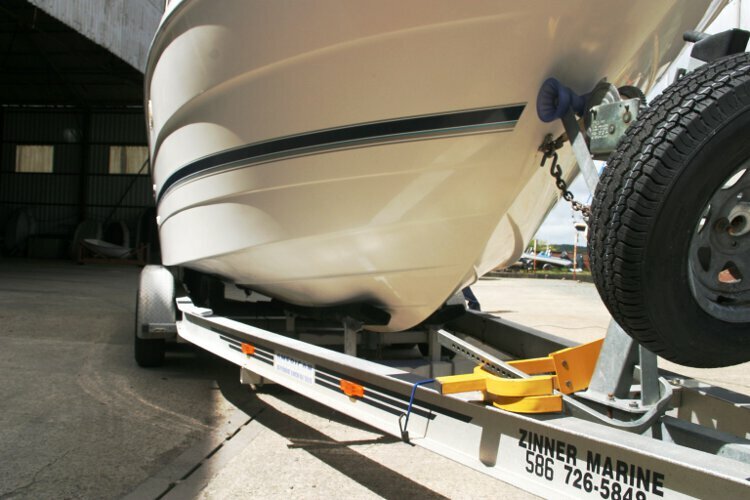 Six wheel trailer, Winter cover.Anchor and chain. 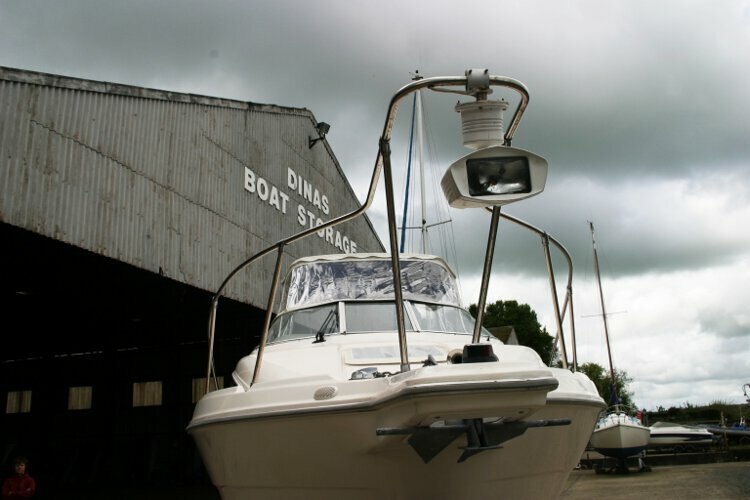 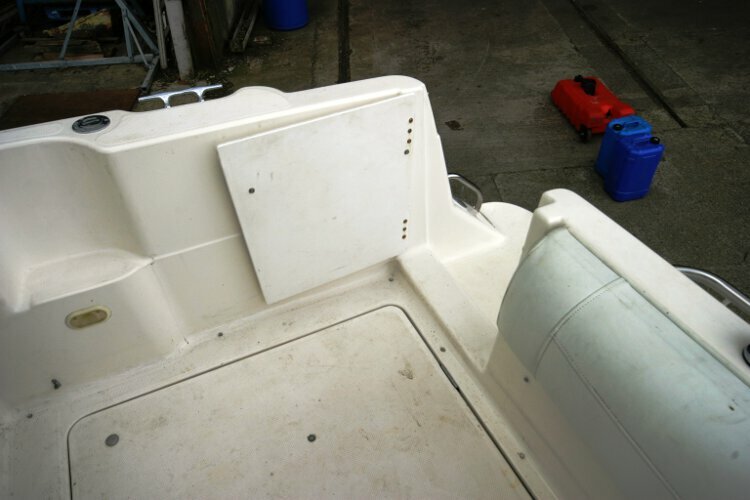 This boat is no longer for sale and remains here solely as an information resource for those researching Bayliner Ciera 2655's.